We have decided to join forces with HUBHUB to bring you unique DoubleDesk membership. 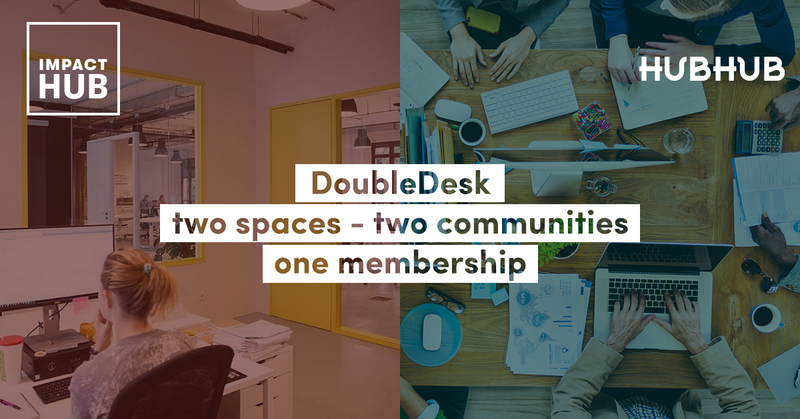 With Doubledesk you will get access to both Impact HUB & HUBHUB coworking premises and communities + you can leverage very attractive membership benefits. Check out all of our Impact HUB membership offers!